Mikoto Misaka and her friends are back, investigating rumors across Academy City. Soon, Mikoto discovers something terrifying: horrific experiments are taking place throughout the city, involving the murder of thousands of espers. Moreover, these espers are far from just ordinary people: they are clones of Mikoto herself. Feeling responsible for their treatment, she sets off to put an end to the experiments; however, the forces opposing her are much more dangerous than she anticipated, and Mikoto finds herself up against some of the most powerful espers imaginable. 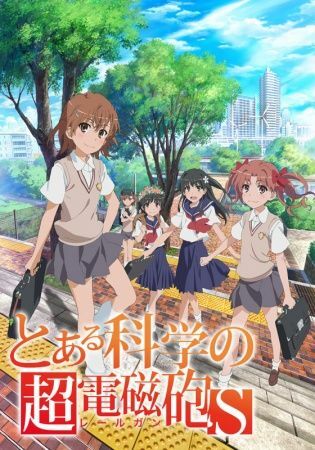 Toaru Kagaku no Railgun S continues the story of the Railgun as she desperately fights to put an end to the inhuman experiments that she believes she helped cause, her life dragged deep into despair in the process. There's never a dull moment in Academy City, but no one ever said all of them would be pleasant.